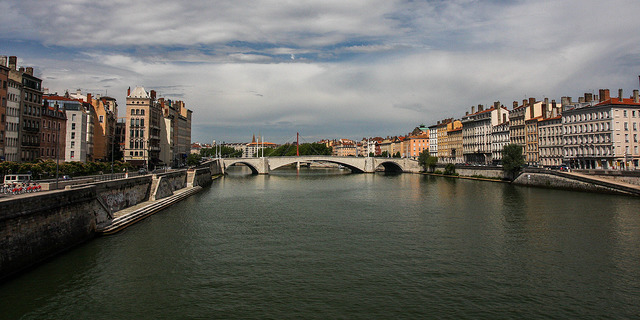 The city of Lyon lies at the confluence of the Saône and Rhône rivers in eastern France. 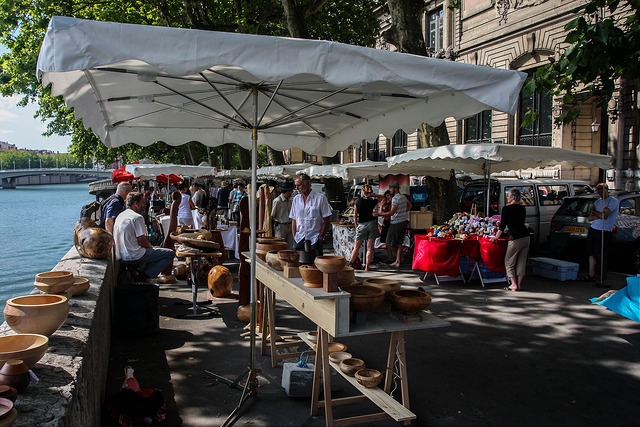 It’s the third largest city in France behind Paris and Marseille in terms of population. 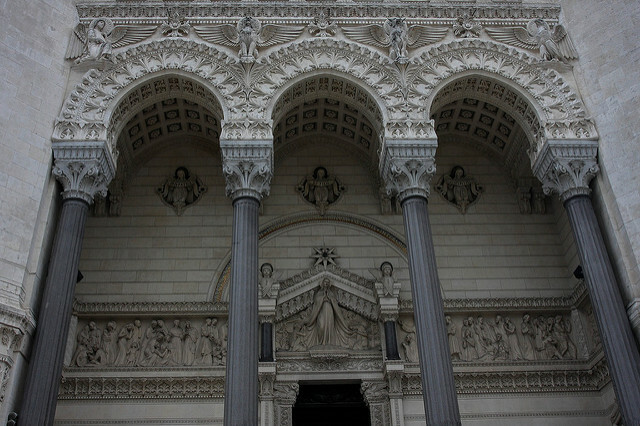 It was originally settled in ancient Roman times and called Lugdunum. It is famous for its cuisine–you’ve probably heard of potatoes Lyonnaise. 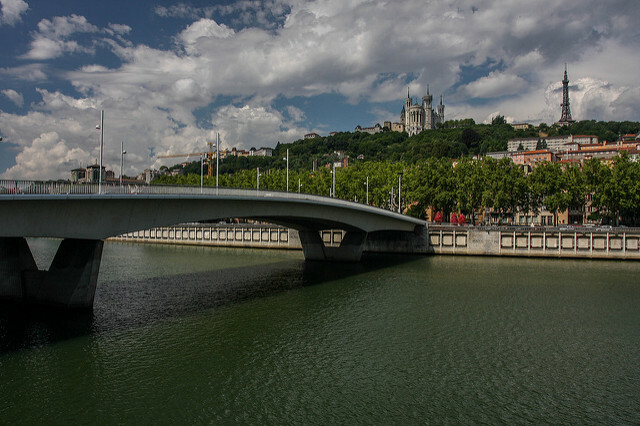 1: A bridge across the Saône, leading to Fourvière hill and the Basilica of Notre-Dame de Fourvière, as well as the Metallic Tower, which predates the Eiffel Tower by 3 years. 2: This bridge pictured on the Saône, Pont Bonaparte, was built in 1950 after the Germans had destroyed the previous one during WWII. A wooden bridge stood here in the 17th century. 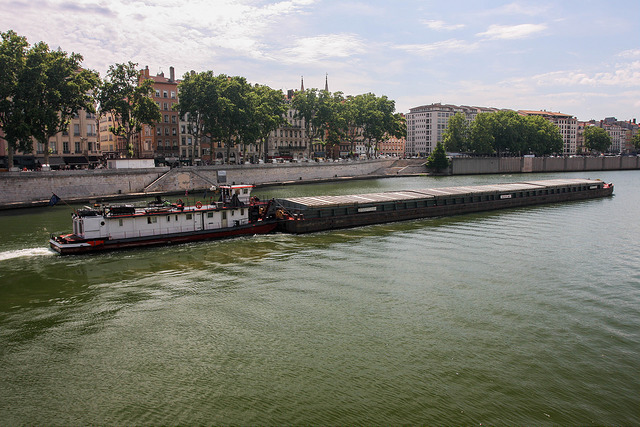 3: To this day the waterways around Lyon and beyond are still useful for transporting goods and materials by barge, even though the majority of the transport is accomplished using trucks and trains. 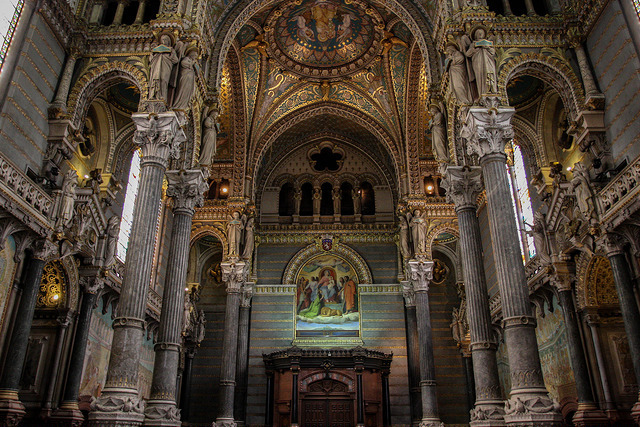 4: The interior of the Basilica of Notre-Dame de Fourvière contains wonderful mosaic work and is supported by 16 ornate columns. 6: A market along the river. 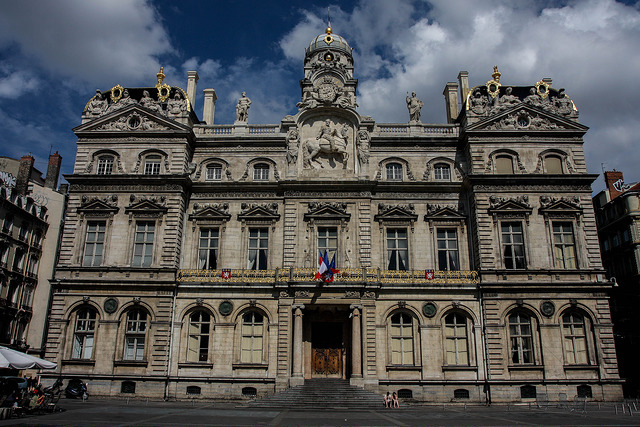 7: The Hôtel de Ville de Lyon is the 17th century city Hall of Lyon. 8: I thought this sculpture was interesting. 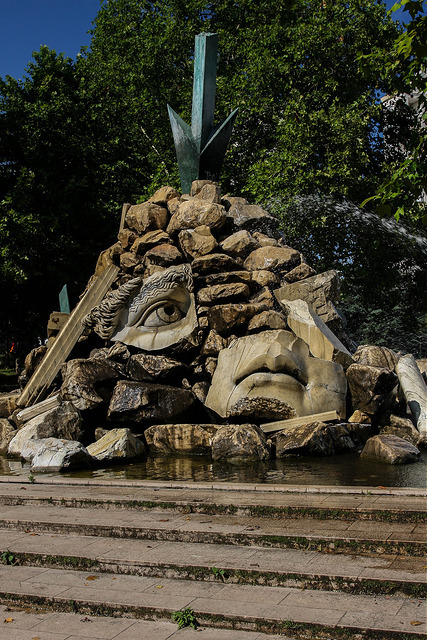 It looks like a pile of ancient rubble, and at the same time, you can make out a face. I forgot specifically where it was located. 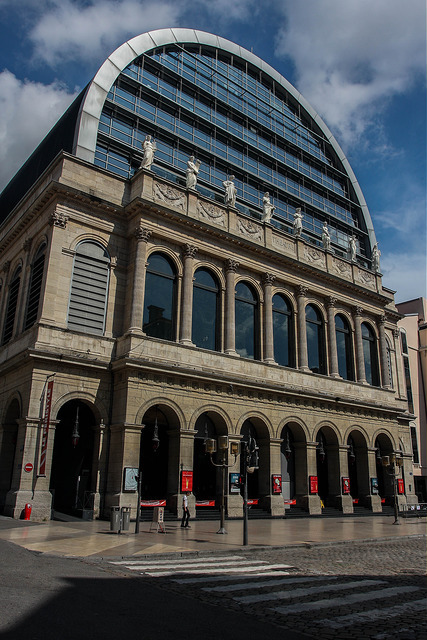 9: Opéra National de Lyon is fascinating to look at. It’s like a modern 1985 building stacked on top of an old one from 1831. 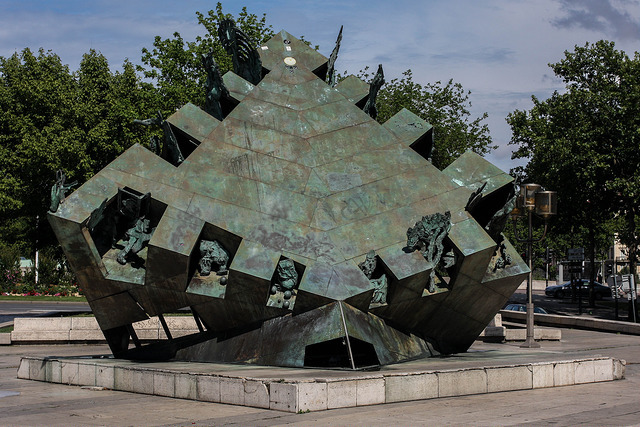 10: This scultpure called Pyramide de l’histoire de Lyon is located outside of the Opera building.